Hacker Going by name "human mind cracker" discovered SQL injection vulnerability in official website of Ministry of Justice of Qatar. He has successfully breached the database and dump it on internet. Hacker Mentioned no reason to hack this website in his note, neither any user information published. According to the note, he just expose the bug and exploit it using Boolean based blind injection to show Database structure including table names. 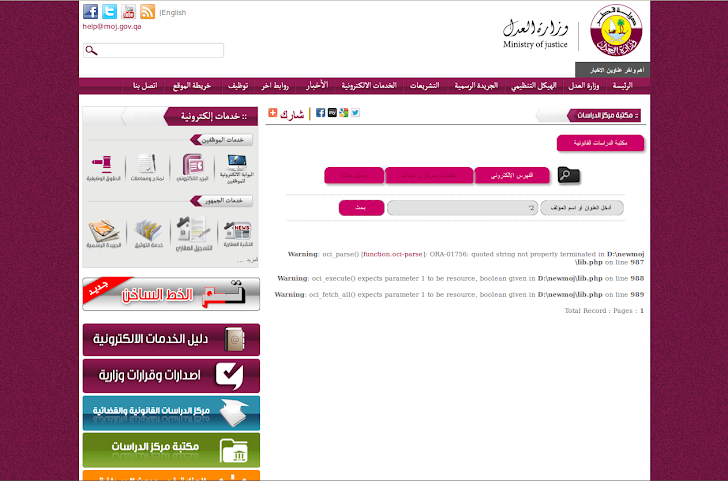 There are about 10 Database available on server of Ministry of Justice of Qatar, that can have sensitive information also. Site is not patched yet and vulnerable to hackers.